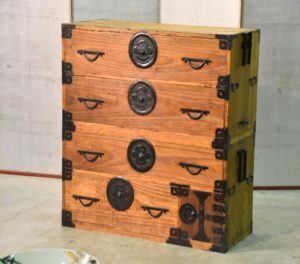 A traditional Japanese Clothing chest (Isho Dansu). In great condition. SKU: 13685. Categories: Chests, Clothing Chests, New Arrivals.